If you ride a motorcycle regularly in Georgia, you may be interested in a report detailing an interesting trend in motorcycle fatalities. A new report by the Governors Highway Safety Administration (GHSA) reveals some good news and bad news about risks for motorcycle riders. First the good news: Motorcycle fatalities in the United States dropped by 2 percent during the first nine months of 2010. Now the bad news: Fatalities started to climb back up during the last three of those nine months. Also, the number of people wearing federally approved helmets dropped by 13 percent. Were you or someone you know injured in a motorcycle accident? Hiring a motorcycle accident lawyer in Georgia is an important step toward protecting yourself legally. If you were injured, or a loved one was killed, you will need an experienced personal injury attorney who knows how to stand up to the insurance companies. 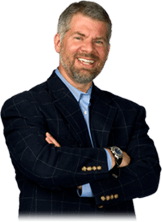 You need the Law Offices of Gary Martin Hays & Associates, serving clients throughout Georgia. 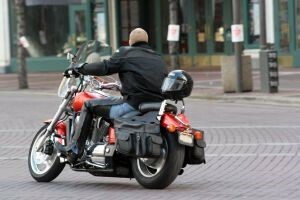 Contact a motorcycle accident lawyer in Atlanta to learn about your rights. In Georgia, there were 112 motorcycle fatalities during the first nine months in 2009, compared to 98 during the same time period in 2010. Researchers describe the trend as good news, but say they have concerns. The 2 percent decrease is far less than the dramatic 16 percent decrease in fatalities reported in 2009. To quote a GHSA news release: "With the improving economy and surging gas prices, motorcycle travel is expected to increase, thus increasing exposure to risk. Finally, motorcycle helmet use dropped alarmingly from 67 percent in 2009 to 54 percent in 2010." It's important for all drivers to be aware that motorcycles share the road, especially during the warmer months. Motorcycle accidents in Georgia and elsewhere in many cases are caused by a driver who "did not see" the motorcyclist. At the Law Offices of Gary Martin Hays & Associates, our Atlanta motorcycle accident lawyers know how to investigate crashes and hold the negligent parties accountable. Let us provide you with experienced legal guidance. Take back control. Contact the Law Offices of Gary Martin Hays & Associates. Tell the insurance companies you mean business.